FIX Neo Winner Jack Strieter! The FIX Neo 1000 Mini WR was a featured prize at Scubaboard.com's "Surge Curacao 2015". Jack Strieter was the lucky winner of the FIX Neo 1000 Mini WR. The FIX Neo 1000 Mini WR is the most versatile light in its class. Featuring both white AND red beams in the same light. No switching light heads on the surface or carrying multiple lights, The FIX Neo 1000 Mini WR is the solution for the photographer needing a reasonably priced focus light for both day and night shooting. The FIX Neo Mini WR features a swappable Li-ion micro USB rechargeable battery. Charge your Neo Mini from any standard USB source and keep on shooting. Never let a dead battery end your diving again! Bluewater Photo member Kelli Dickinson gives the FIX Neo 1500 DX SWR a through review. See Kelli's 5 min video review and some captured moments like the image. The FIX Neo 1500DX SWR is the latest offering from Fisheye. The light is built on the standard Neo DX body which houses the battery, controls, and charging mechanism to which various light heads can be attached. The flexibility of the Neo system comes from the ability to change light heads, in this case the 1500DX SWR LED while using the same batteries, charger, mounts, and so forth. The light comes in a solid foam-lined package that ensures it arrives safe and sound. Below the light you’ll find a gaggle of accessories that allow the FIX to be mounted to just about anything including a pistol grip that is provided. There is even a plug to protect the brass charging contacts from corrosion, a spare o-ring, o-ring removal tool and grease. For the purposes of this review the light was mounted to a Nauticam NAD810 housing using the supplied Ultralight mounting ball. The light also comes with mounts for Loc-Line, Sea & Sea YS, and GoPro mounting systems and a pistol grip/goodman handle and a wrist lanyard. The FIX Neo is capable of two charging modes, charging the battery while still inside the light through the external charging port or by removing the battery and charging it directly. The same charger is used in either case but for charging the battery directly an adapter fitting is removed from the end of the cord. This is convenient as it allows charging of a spare battery while you’re out on the dive without needing a separate charger. Several light modes are available and each pattern/color is adjustable from 1-100%. The light controls are stainless buttons located on the plastic body portion of the light and feature an LCD screen that gives both the light mode and power level, switching to the remaining battery life in minutes after a short delay when power or mode is changed. The screen is easy to read in any light and is an unobtrusive but bright blue color. There are three push buttons, one that acts as both the power button and the main mode selector. By pressing and holding the main button it cycles the light between the ON/Spot -> Wide -> OFF modes. Short presses of the button in any mode will change the power level in increments of 25%. The light remembers what power each mode was used on and when switching modes it uses the last value as it’s initial power level. So if you were using the Spot mode on 38% and the Wide mode at 65% as you cycle through these modes it will come on at that power, even after turning the light off. To activate the Red Wide mode the left power adjustment button must be pushed simultaneously as the main mode button. Although not terribly convenient, the removal of the red mode from the main light cycle is a marked improvement for usability over the original FIX Neo lights. By pressing the right adjustment button and the main button activates the emergency strobe mode. The Red mode is really a special mode and having an extra step to access it is not a real world issue. We have found that on a dive we normally cycle only between spot mode for finding subjects to wide mode for focus while shooting the subject. The red mode is normally used for skittish cephalopods or Mandarin Fish and can still be easily accessed when necessary but not having to cycle through it every time you want to switch between Spot and Wide was a welcome change. The light is also equipped with a positive lock mechanism just under the main button. This allows the light to be easily but surely locked to prevent accidental activation. The spot beam is especially nice compared to other manufacturers spot modes in that it actually is more of a combination spot/flood with some peripheral light that helps prevent the tunnel vision that some lights cause on night dives yet the central spot is still powerful and crisp. The wide beam is large and even allowing you to focus on both medium and close subjects without having to adjust the position of the light each time. We had the light mounted on a short 4” ultralight arm to allow some better articulation around our strobes. Cycling between 'spot' and 'wide' modes without having to pass over 'red' was a welcome change as is the light's ability to remember what power level was previously used in each mode. If quick power changes were needed the main button is easy to find even in the dark. During several dives we wore gloves and still found the light easy to operate. Without gloves we were able to engage the red mode by bridging both buttons with our thumb (we use the light in an upside down orientation to more easily access the buttons with our thumbs) but with gloves we had to use two hands. Not a big deal again as the red mode is rarely used as switching from spot to wide is a constant necessity. The FIX Neo 1500DX SWR is a capable, functional, well thought out and user friendly spotting and focus light. The removal of the red mode from the main mode cycle which allows for quick spot/wide cycling in addition to the power setting memory &amp; dual charging capabilities set it apart from other focus lights in the same category. Having extensively used Light & Motion Solas, GoBe, iDiveSite, and other FIX lights while working in Indonesia for the last decade we have quite a bit of experience to draw on when evaluating focus lights. Our previous FIX Neo 2000DX was a powerful, functional, and reliable light. The new 1500DX is no different in any of those categories but with some useful changes that make it even better. 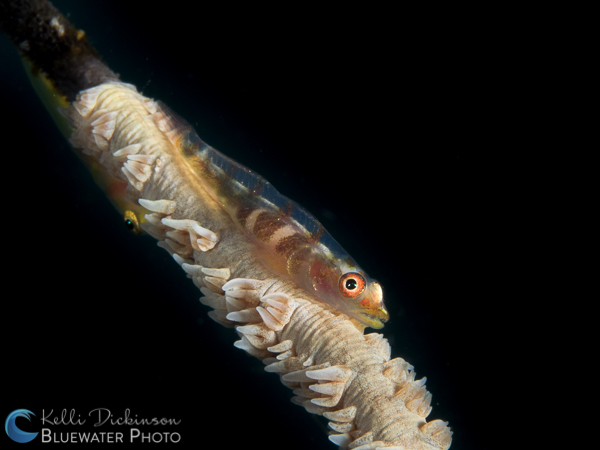 We tested this light on a recent liveaboard trip to Komodo in Indonesia which has an excellent variety of macro and wide angle sites in both good and bad visibility as well as some colder water that behooves wearing gloves. Although less powerful than our previous FIX 2000DX lighthead we find that 1500DX SWR is more than enough for the light to function as both a spotting or focus light but not enough to function as an effective SLR or MFT video light. We rarely found ourselves going past 50% on the power settings in the spot mode and 75% on the wide mode. On night dives 25% or less was more than satisfactory. FIX Neo 3000 DX Review by Marc Montocchio. I had been using the Sunray 2000 lights for the last several years and did see a reason to change. I finally flooded the battery compartment on one and so started looking around at my options for new video lights. After chatting with the guys at Reef Photo and Video I decided to give the Fix Neo 3000’s a try. From the moment the tiny packages arrived I was blown away by the size and weight on the lights. Just picking them out of the small box it was unbelievable that these tiny units could produce 3000 lumen of light! Because I travel extensively, weight and size are huge considerations for me. These small packages have knocked 10’s of pounds off my gear load. The lights came complete with several mounting options including a mountable handgrip, no need to buy expensive adapters. Also included were a charger, spare o-ring and small pot of silicone grease. After unpacking I threw the lights into my carry-on bag and headed to Mexico without even turning them on, frankly not knowing what to expect. On arrival I unpacked and started paying a bit more attention to my purchase. First impressions were of a well-made product with a well thought out, easy to understand display and easy to use controls. Once the o-ring surrounding the head seal have been prepared and the battery inserted, the units where ready for charging. Charging takes place via two brass inserts on the back of the lights. There is an index pin on the charger connection to make sure polarity is correct. I have since done several dives and recharged the lights several times without opening the lights themselves. No more removing batteries to charge. The display is clear with options to see power settings or time remaining in minutes. Output can be controlled in 25% increments with a single push of a button or by 1% increments by using the arrow switches. Have I mentioned how small these lights are? First dive I used them on was a night dive. The quality and quantity of light was fantastic, way passed anything I could have expected from these “little guys”. Between the 2 lights there was more than enough coverage for my Tokina 10-17mm on a Metabones speed booster with my Sony FS700’s Super 35 sensor. The light was constant through out the wide bean with no hot or cold spots and no modifier or reflector shapes. There was more than enough output at 3000 lumen to shoot the lens stopped down to where I wanted it at the ISO I wanted. Although shooting in the dark was a great way to see the details of the lights shape and quality, the real WOW didn’t happen until shooting them in bright sunlight the next day. The shot list called for shots of shallow coral heads inside the fringing reef. We were free diving the heads shooting between 10’ and the surface in crystal clear water under full sun. I was shooting 4K at 120fps (shutter at 125) recording to a Convergent Design Odyssey 7Q recorder. My lens was stopped down to around f16 and I was alternating between a ¼ and 1/16th ND filter shooting up into the sun. On a pass of some glassy sweepers hanging around a hole in the reef, I switched on the lights hoping for a little extra foreground color and shadow fill but not expecting much shooting up against the sun so closed down. The results were amazing, the lights bought the scene to life popping the color, balanced well against daylight and filling in the dark holes and shadows perfectly. I couldn’t be happier with the performance of the Neo 3000’s, add that to their reasonable price and great feature and I’m really happy with my purchase. Have I mentioned how small they are? Marc Montocchio uses a pair of FIX Neo 3000 DX video lights with his Sony FS700 to capture a reef sequence (frame grab shown).